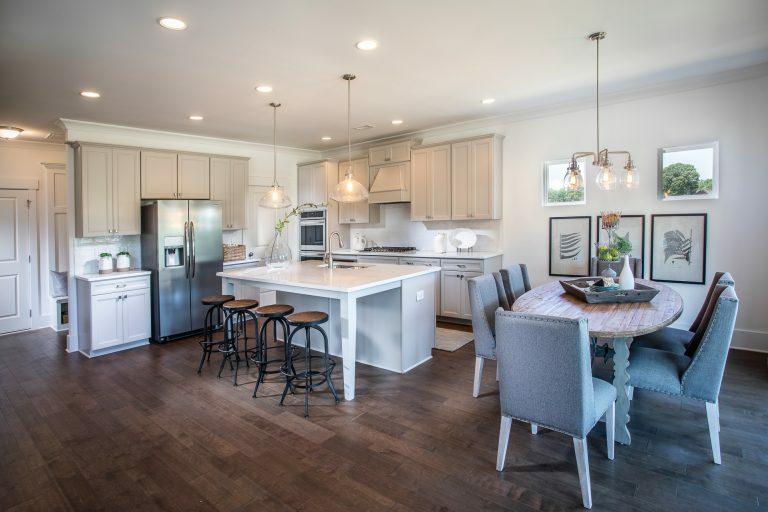 Duluth, Ga, May 18, 2018 – Serving as a “slice of life” for visitors to Chestnut Farms in Kennesaw, the professionally merchandised model home at the West Cobb community is now open to the public. Merchandised by Tracy Cook of Design Etc., the home represents one of the builder’s most popular floor plans – the stately and sophisticated Manchester, showcasing over 3,600 square feet of living space including four bedrooms and three and a half bathrooms at the heart of the Kennesaw neighborhood. The designer drew inspiration from the home itself when planning her design, which features elements of white on white and soft hues juxtaposed against dark wood floors, textured upholstery and dramatic accent pieces. Seeking a “less is more” approach, she endeavored to make the design as functional as it is fetching with a homework station in the media room and a drop station near the garage for family members to drop their book bags, laptop bags and purses while charging their smartphones for the next day. Cook describes the design as vintage meets modern with distressed wood pieces, antique elements and thoroughly current upholstered furnishings. Some of her personal favorites include the stylish dining room, home office with partners desk and reclaimed shutter as an eye-catching wall accent, and serene master suite. The Manchester is just one of seven floor plans available at Chestnut Farms – which represents a collection of 36 new construction homes priced from the low $400’s. Conveniently located near I-75, Chestnut Farms’ residents will enjoy convenience to a wealth of recreational outlets like Lake Allatoona and Kennesaw Mountain, upscale shopping destinations such as The Avenue West Cobb and Town Center Mall, and a number of highly revered schools. Homeowners in the Kennesaw community also enjoy the Main Street charm of its historic downtown area, low Cobb County taxes and close proximity to SunTrust Park – the new home of the Atlanta Braves. There’s also the promise of countless family-friendly events hosted at the iconic Marietta Square, Downtown Kennesaw and Downtown Acworth. 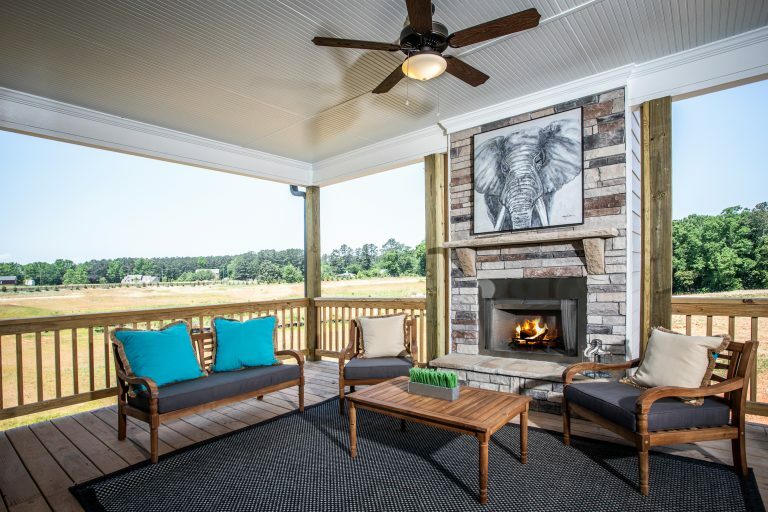 In addition to Chestnut Farms and its two other West Cobb communities at Silver Springs Village and Sweetwater Landing, Paran Homes has a presence in another seven new home communities throughout the Atlanta area. Beyond Georgia, Paran Homes also boasts communities in Tennessee and North Carolina. 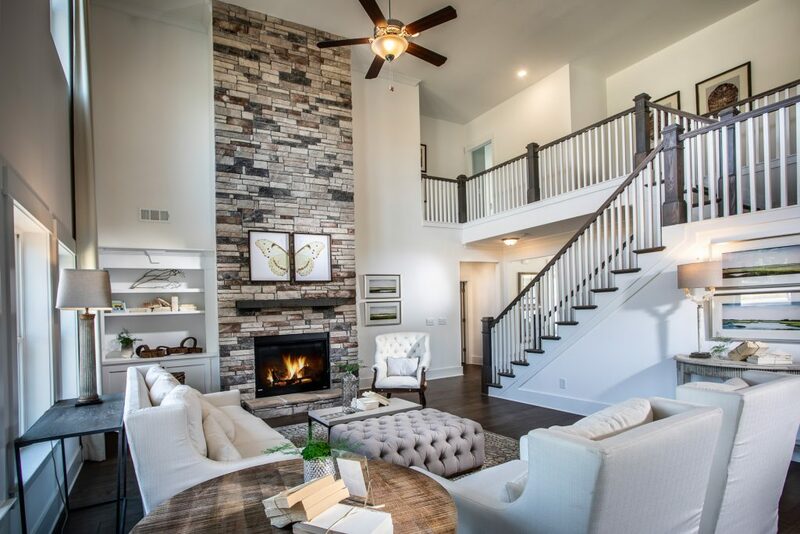 To learn more about Chestnut Farms and other Paran Homes’ communities throughout the Southeast, home buyers are encouraged to visit www.paranhomes.com.